Part a historic house tour and part a lesson on material culture and curatorial practices, today’s Archtober lunchtime session packed a ton of information into 60 minutes. 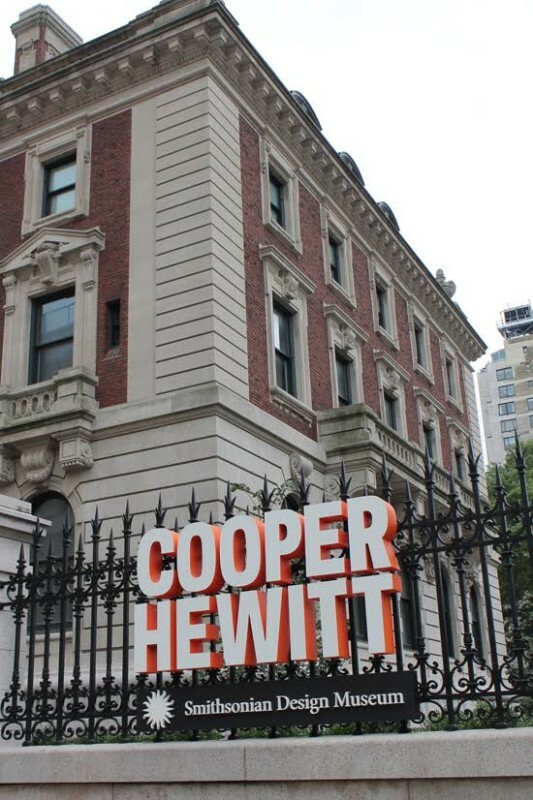 Brooke Hodge, deputy director of the Cooper Hewitt, National Design Museum, showed us around one of the finest mansions of Manhattan. Designed by Babb, Cook & Willard in 1902, the Carnegie Mansion’s most recent renovations were completed just last year. Executive architect Beyer Blinder Belle developed the master plan, while Gluckman Tang Architects (formerly Gluckman Mayner Architects, the firm responsible for the Staten Island Museum at Snug Harbor that we’ll be touring on Thursday) oversaw the historic preservation aspects of the project. 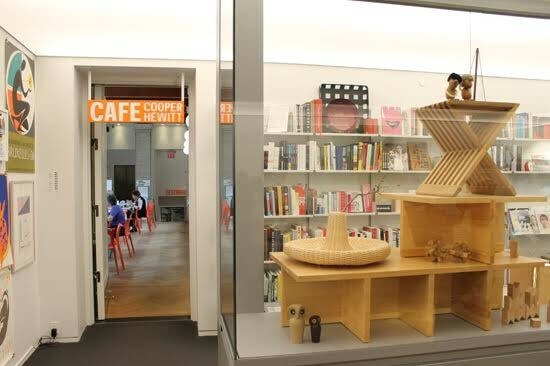 Diller Scofidio + Renfro worked closely with the museum’s curators to develop the display cases and exhibition design. The firm also oversaw the plan of the garden, which, once complete, will open at 8:00a.m. to welcome visitors onto the property even beyond hours of admission. Our dear friends at Pentagram worked on the graphic identity together with the typographer Chester Jenkins, who developed an open-source typeface called the Cooper Hewitt. This initiative was yet another way to make the museum more inviting to the public, and to encourage people to feel connected with design. 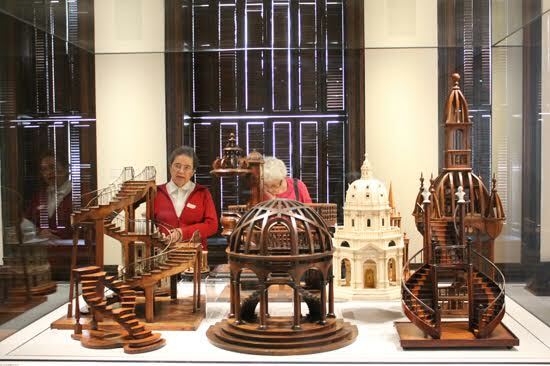 The renovation added 7,000 square feet of exhibition space to the mansion without expanding the building’s envelope. Offices and the library were relocated to adjacent townhouses, and part of the collection was moved to offsite storage. Other smaller pockets of space were carved out: a former powder room is called the “Teaspoon Gallery,” a play on its location next to the Spoon Gallery, which was named after a donor family. Visitors are encouraged to grab a Pen (note the capital “P” since we still never take ink into exhibitions) at the admissions desk and keep track of their favorite objects. These electronic styluses turn visitors into collectors, and encourage creative moments of exploration. 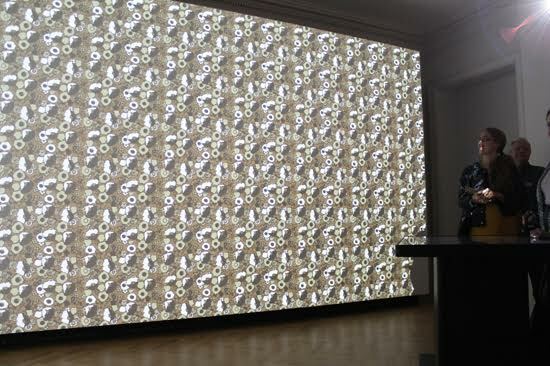 One gallery features a projection screen that covers two walls, reproducing visitor-drawn forms as wallpaper. 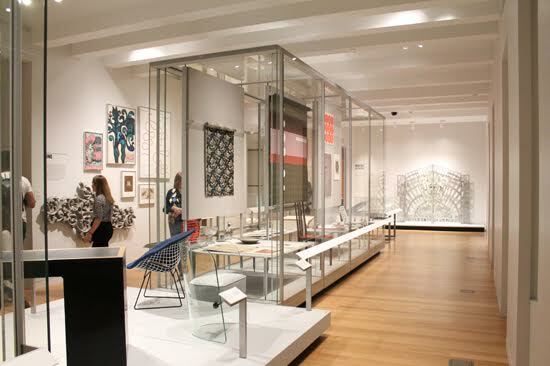 The digital transformation of these designs into large-scale patterns help visitors connect with the objects on display. Fragments of wallpaper that might otherwise be interpreted as whole objects unto themselves can now be understood as part of repeating patterns that set the tones of entire rooms.